People have long talked up the versatility and ageless styleof the Converse Chuck Taylor, but the fact they’re nigh-on unwearable for a wide foot is rarely discussed. The rubber cap rubs the little toe to the bone and no wearer who treats their foot to Lunarlon, Gel and Zoom-Air can deny that the foot gets a bit of a beatdown when it comes to impact protection in a pair — even during a brisk walk. We’re just weaklings compared to basketball legends like Wilt Chamberlain, whose spectacular height would mean he’d be given something more substantial in the league nowadays. 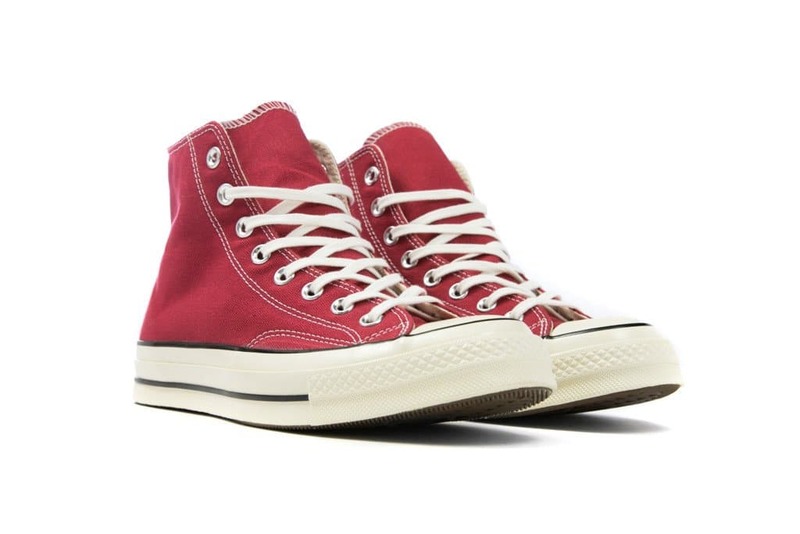 And it’s true, we’re pathetic when it comes to shoes in 2014, but that might be because inline Converse Chucks were a little better built back in the day too. Anybody who put on a pair of 1970s and early 1980s editions back when people were coming up on stacks in archaic Italian sport stores a few years back could tell the difference in fit and when the Converse Addict line with the addition of a custom-created Vibram sole and restored shape appeared in Japan we knew that they’d never exit the country, because it’s a completely different license holder to the rest of the world (and the yen conversion made them cost about a trillion pounds). Then First String put out their response — the Chuck Taylor 1970s — early last year and after decades of buying All Stars but never wearing them to destruction, we were hooked. With slightly more space in the toe, a chunkier sole with some throwback detailing, a tweaked shape that feels less narrow and some sponge in the insole, they’re the best Chuck we’ve worn in a while. The reinforced upper, Foot Form last and molded sole make a lot of difference. Sure, prolonged wear wrecks them, but this was never a shoe for hoarding and with this inline non-First String edition (in the colours that dropped in past seasons), the pain of missing the limited edition drop is eliminated too and there’s a sense that you’ll be able to replace a pair when they eventually become too disgusting. These will be in the store on Thursday and they’re a flawless shoe as far as we’re concerned and if you can’t make these look good, you’re probably an advocate of oversized Akademiks denim or bootcut jeans. It’s amusing that a shoe introduced in the 1910s is still better looking than most other shoes and this silhouette really seemed to hit its stride four decades after Chuck got his name on ’em.